Three days of intense competition, with great technical and sporting ideas, have confirmed the rally as one of the most fascinating in the world. From Zanche-De Luis (Porsche 911 RS). In the "Regularity Sport" success for Marani-Sartorio (Porsche 911). 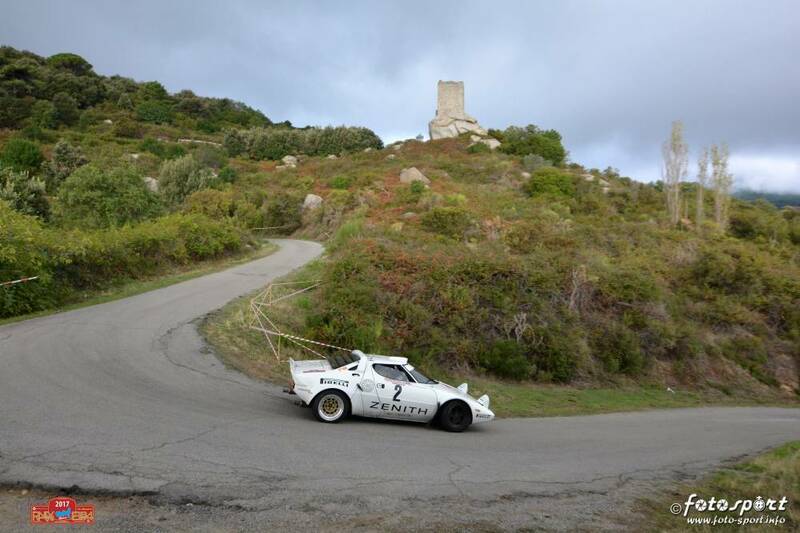 Effective victory for the French Eric Comas and Yannick Roche, on a Lancia Stratos, at the XXIX Rallye Elba Storico - Trofeo Locman Italy, the seventh round of the European Rally Championship and the penultimate of the Italian Championship. The transalpine crew had already completed the first run between Thursday and yesterday, heading to the lead from the fourth special stage, overtaking the Lancia Delta Integrale 16V of Luigi "Lucky" Battistolli, with Fabrizia Pons. They were authors of a gritty first race, the Vicenza driver and the Piedmont codriver, who have been hired for a spectacular duel lasted until the last race meter. In fact, this last day of challenges has come to a remarkable reaction by "Lucky", which is dangerous in all four "plans" planned, forcing Comas to fund all possible energy to be able to conclude victorious in the center of Capoliveri with only 4"2 in front of the competitor. Comas, who also won the second group, took full advantage of the agility and reliability of the "Queen" car of the rallies in the seventies, as well as playing tactics with the best tire choice and optimal set-up for the slippery elban roads. "Lucky" made her the fourth group, deserving the silver of a race that inspired him in every stages, gaining valuable points both in Italian and continental. The third absolute overall the always reliable Lucio Da Zanche with Daniele De Luis, on a Porsche 911 RS. The Valtellina´s driver has always been in the sun position of the absolute classification, confirming in this case a remarkable feeling with the Elba roads, which is certainly not easy to interpret with the powers of his "Stuttgart" coupe. Even out of the podium it was dazzling, as spectacular as it pulled up to the final flag. The 4th final position went into the hands of Salvini-Tagliaferri, (Porsche 911 RS), particularly gritty and determined. Two features that are definitely served to be right, even in this case on the woolen wire Elia Bossalini, alongside the Sicilian Granata (Porsche 911 SCrs), deserving of praise for honoring an Elba rally with great chronometric performance. In the third group, the Austrian Karl Wagner (Porsche 911 SC) and the Penguin Gian Marco Marcori (Porsche 911 SC) were fought, but only in the first stage, because in the second day the driver of Santa Croce sull´Arno behind to the rival last night of just 9"4, had to raise white flag during the eighth test for breaking the engine. Behind the Austrian is the highly acclaimed local driver Andrea Volpi, with a VolksWagen Golf GTI, with Maffoni. The first group was won by the Dell´Acqua-Paganoni (Porsche 911S), with over two minutes on Parisi-D´Angelo (Porsche 911S) and three on Giuliani-Sora, with a less powerful Lancia Fulvia HF. The final ranking reflects the one recorded at the end of the first stage, confirming the Dell´Acqua hegemony. The best of the foreign drivers, who in this race constantly suffer from the "ours" initiative, was Spaniard Daniel Alonso, sixth overall with a Ford Sierra Cosworth, always close to the best in both stages. In the Trophy A112, "virtual" victory for Umbro Giorgio Sisani, out of rank because he did not use the tires of the "scorpion" single, so officially the success went to Piedmontese Maurizio Cochis, ahead of Battistel and Scalabrin. The "Regularity Sport" competition was won by Andrea Marani-Rita Sartorio, with a Porsche 911 (1973). The first stage was in the hands of the German Hanno Mayr, with a 1974 "Volkswagen" beetle, which curiously run alone, without the passenger.